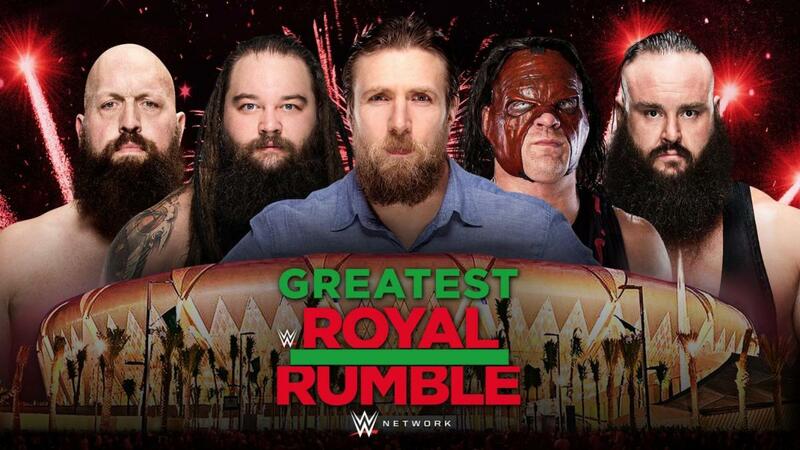 WWE has announced Daniel Bryan, Big Show, Kane, Braun Strowman and Bray Wyatt for the 50-man Royal Rumble match that will headline the Greatest Royal Rumble event on Friday, April 27th in Saudi Arabia. As noted, this event will feature several surprises, including rumored appearances by The Undertaker and Chris Jericho. All main roster titles will be defended except for the RAW Women’s Title and the SmackDown Women’s Title. The event is expected to air live on the WWE Network but it has been confirmed to air live in Saudi Arabia, the UK and Australia.